Eight airlines, including Southwest, use e-ticketing systems that could allow hackers to access sensitive information about travelers merely by intercepting emails, according to research published Wednesday by the mobile security company Wandera. From a news writeup: Researchers at security and data management company Wandera have uncovered a vulnerability affecting a number of e-ticketing systems that could allow third parties to view, and in some cases even change, a user's flight booking details, or print their boarding passes. The problem affects a number of major airlines including Southwest, Air France, KLM and Thomas Cook. All of these have sent unencrypted check-in links to passengers. On clicking these links, a passenger is directed to a site where they are logged in automatically to the check-in for their flight, and in some cases they can then make changes to their booking. 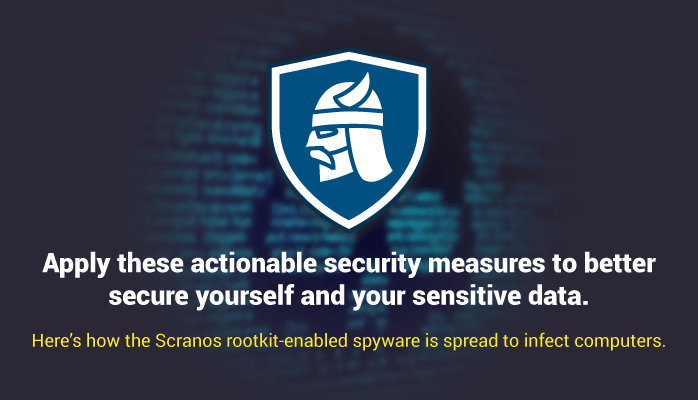 heimdalsecurity.com - Here's what you should know about the Scranos malware with rootkit capabilities that spreads across the globe. We strongly recommend applying these actionable security measures to better protect yourself.